With the help of our experienced professionals, we manufacture and supply a wide range of Printing Pouches that are available at reasonable prices in the domestic as well as international market. Available in a spectrum of designs, colors, sizes, prints and shapes, these pouches are featured with a zip. 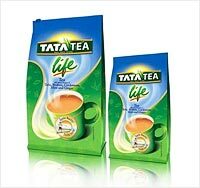 Printing pouches are designed using high class of raw materials that are sourced from the trusted vendors. 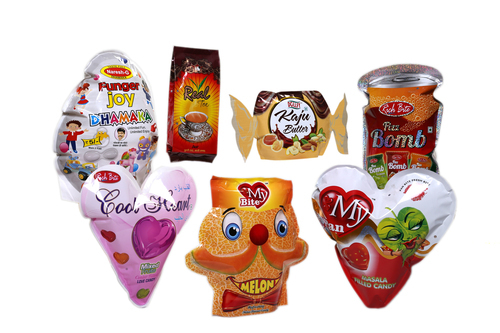 Additionally, these pouches are used for the packaging of different products such as tea, namkeen, masala, undergarments, food packaging, stationery, cosmetics, auto industry, toys and garments. Provided in multi-color printings, these pouches are also used for preserving the freshness of food and for product presentation. Our printing pouches are highly acclaimed for their excellent vapor and these products are designed by considering the interest of our valuable clients. Furthermore, these are available to fulfill the requirement of cosmetic industry and FMCG sector. Our team of skilled professionals uses 7 color rotogravure printing machine to manufacture defect free printing pouches and these pouches are easily available in the market. Available with moisture barrier properties, these pouches comprise extended shelf life and are laminated with the help of multi-layered film. Printing pouches are available in different types including bottom sealed, three side sealed, top sealed, standy and zipper. 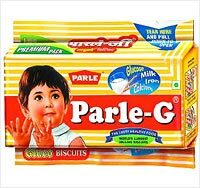 These pouches are highly demanded due to ensuring that the food remains uncontaminated and are checked on the basis of different quality parameters. We manufacture and supply a superior quality range of Extrusion Laminations, which are available for various products. These laminations are manufactured with cutting edge technology and high grade of raw materials. 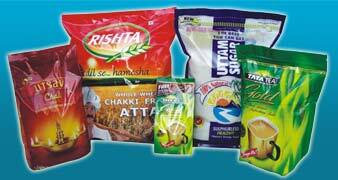 Our laminations are widely known for providing best packaging to the clients. These are available for wafers bopp packaging materials that are used in diverse industries for packing a variety of products in an efficient manner. Our laminations are designed to perfection and are delivered on time to the clients. These laminations are used in BOPP bags in order to provide safety to the packed products and make the bags attractive in nature. Our laminations are provided according to the client's specific requirements and these are applied with the help of latest machines and advanced technology to different products. Laminations are basically provided to secure the product fro dust, water and other unwanted particles and these are available in an efficient manner to our valuable clients. These are available with innovations in designs, sizes, raw materials and finishing and we offer these laminations at most competitive rates to the esteemed clients. Our company is well equipped with a team of professionals that have sophisticated techniques to manufacture these laminations in a defect free manner. Being a prominent manufacturer and supplier, we manufacture and supply a superior quality range of Foil Base Laminations, which are available as per the industrial standards to the clients. These laminations are aluminium foil based that are ideal to provide excellent safety to the products and we offer these products in compliance with the global quality standards to the clients. Various industries including cosmetic, food and beverage, soft drinks, pharma and many more used these laminations to pack several products and these laminations are provided on different bags and other products. In addition, these products are available at very genuine prices in the market and are highly demanded due to their long lasting nature. We have become a well known as prominent manufacturer and supplier of foil base laminations and these are made using high quality of raw materials and latest machines & tools. Thus, we have maintained consistency in the delivery of our products to the clients and we are well established with state-of-art manufacturing facilities to manufacture superlative products. Available in different sizes, shapes, dimensions and specifications, these laminations are widely know for their smooth finish. Furthermore, our foil base laminations are tested at every stage of production by our team of quality inspectors. 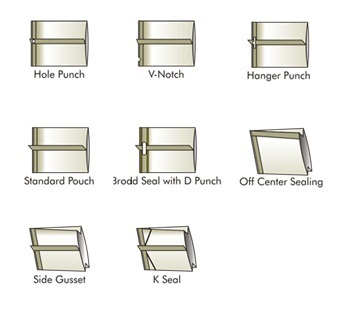 Aluminium foil based lamination pouches that are ideal to provide excellent safety to the products. We are involved in manufacturing and supplying a wide range of Shrink Sleeves, which is ideal to provide duel advantage for increasing the brand image, decorating the products as well as creating the attraction of products. These sleeves are used to provide information about the usage as well as benefits of the products and are available at market leading prices to our valuable clients. 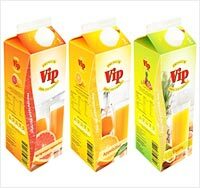 Our sleeves are used in soft drinks, food and beverage industries and these are also ideal to informing about the upcoming promotion schemes to the clients. 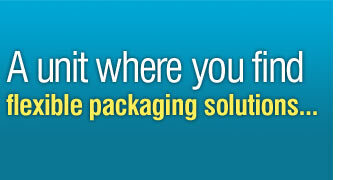 We offer them for different kinds of bottles such as Glass bottles, Pet Bottles, Tins and Plastic Bottles. 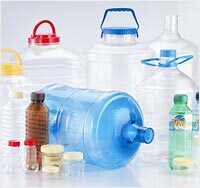 These products are highly acknowledged for providing endless solutions for bottle security, decoration and promotion and we offer them with innovative technology to the clients. Our products are designed in different sizes, shapes and designs in the market and these are available with a tamper evident holographic stripe. Apart from this, these are also used to provide seal to the bottles neck and we offer them in a reliable manner. We offer them to give utmost protection and safety from counterfeit and these are manufactured using superb quality of raw materials that are procured from the authentic vendors. During the storage, these shrink sleeves are available to protect the products from dust, grime and moisture and our clients can avail them in roll or in pre-form from us. In addition, these products are available easily in the competitive market. Known for its high quality range and high functionality, Shape Pouch is now-a-days gaining an immense popularity among our customer. Present in different shapes, various products can be packed in this perfectly and protect them from different kind of weather damage. 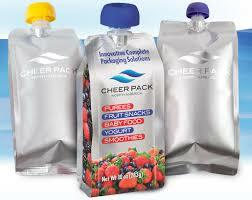 The attractive design of this pouch also allows the packaging of food and beverages. It has the ability to preserve flavor and freshness of the food materials that are packed in this pouch. The manufacturing of the product is done by the usage of premium grade of raw components that are sourced from reliable vendors. Also, recently used machines and high end technology is also used for the fabrication purpose. Moreover, the available range is tested on different quality parameters under the strict guidance of professionals, ensuring high reliability. 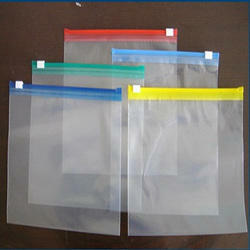 Central Seal Pouch is designed for extensive usage in food and chemical industry, thus offering a high level of safety. It has the capability to withstand both low and high temperature variations, protecting the products from different kind of harms. The available range is integrated with prominent features including resistance against wear and tear, lightweight nature, high strength and excellent durability. Meant to be used for packaging purpose, this pouch can be availed in different colours, sizes and finishes to meet the specifications of our clients. In order to work in compliance with international quality standards, this pouch is manufactured using a high quality range of raw materials, contemporary techniques and updated machines. Moreover, the available range is tested on different parameters to check and maintain the quality of products. Known for the excellent quality, this Plastic Pouch is widely acclaimed among our clients and thus, used in various industries. 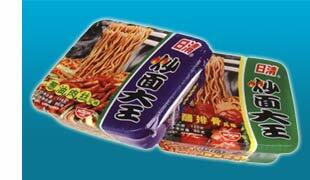 Either it is a food item or non food material, this pouch is suitable for packaging purpose. The main purpose behind using this pouch is that it offers supreme quality and resistance against all kind of damage, caused either by weather condition or while transportation. Manufacturing of this product is done with the use of premium grade of components, modern machines and high end technology. The demand of this pouch is increasing day by day due to its reliable features including high tear strength, excellent durability, high sheen surface and cost effectiveness. Idealize as a perfect solution for keeping the products safe against any kind of damage, our offered range of Packaging Pouch is used in different industries. Either it is a food industry, chemical, beverage and cosmetic industry, this pouch offer higher flexibility. The available range is fabricated using premium grade of components along with modish techniques that work in compliance with set industrial quality norms. Highly appreciated among the users, this pouch is leak resistance, sustainable against temperature and is available in enthralling designs and vibrant colour combination. Relying on its remarkable characteristics, this pouch can be availed in different sizes, designs, patterns and finishes at market leading prices. The excellent sealing capacity offered by this pouch makes it ideal to give resistance against moisture, air and other environmental factors.